Most DVDs are created through either Replication or Duplication processes. Replication refers to creating mass quantities of the same DVD for commercial purposes. The hardware necessary to produce such a large amount of discs in a practical amount of time requires a specific laser frequency, which in turn calls for the discs to contain a specific dye. This causes the DVDs’ bottoms to appear silver or gold. In contrast, Duplication refers to making small quantities of discs for either personal or small commercial purposes. 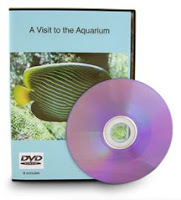 These types of DVDs are often created one at a time or in small numbers with a personal computer. 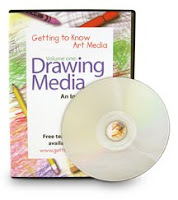 The equipment used to create these DVDs is inexpensive and does not require premium discs. As a result, small publishers opt to use common retail DVDs that are manufactured with a cost-effective violet dye. Many of these blue-bottom DVDs¹ may not include menus or chapter partitioning in order to minimize production costs and time constraints. Also, many of these discs are DVD-R format as opposed to DVD+R. Some DVD-Rs may not play in older DVD players or in some computers manufactured before 2005. However, nowadays almost all DVD players are backwards compatible and can read both formats. ¹Please note that these DVDs are entirely different from Blu-ray discs. Blu-ray product will always feature the Blu-ray packaging and label. This is great and very informative too! Kudos to the author. My library has RFID equipment and these discs do not work with it. I think product listing on the MW website should indicate the type of disc being sold so we do not order products that do not work with our equipment. Currently, most studios do not provide us with information about whether any particular title was burned using a DVD+R or a DVD-R disc, and in most cases, we are unaware of the type of disc until a library informs us. That being said, we are working with our suppliers to get them to provide us with information on titles created with DVD-R discs.